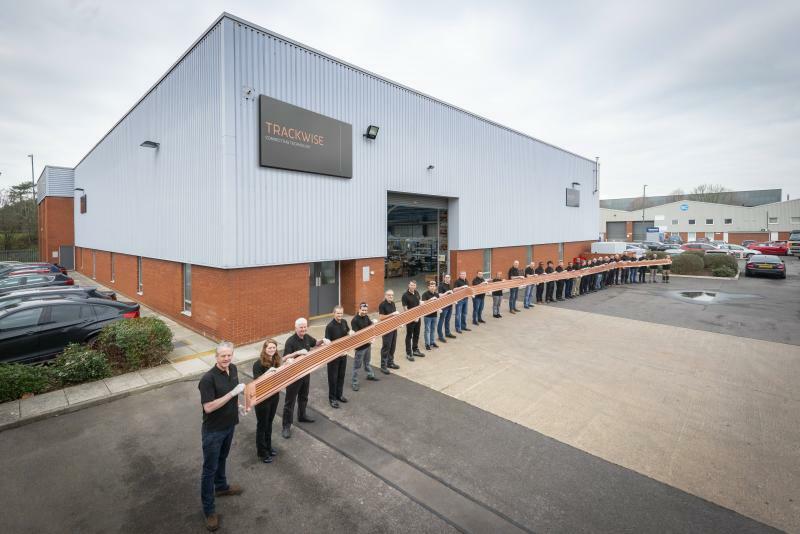 Trackwise has supplied more than 50 circuits to a solar-powered, U.S.-manufactured unmanned aerial vehicle (UAV), but one is making quite a statement. According to the company, it has “shipped a 26-m long multilayer, flexible printed circuit (FPC), believed to be world’s longest ever produced, for distributing power and control signals across the wings” of the UAV. Traditional FPCs usually don’t pass the 2-m mark, but by utilizing a patented, reel-to-reel manufacturing technique, known as Improved Harness Technology™ (IHT), Trackwise can overcome size limitations. A polyimide substrate serves as the FPC’s foundation. “The entire interconnect system (power and signal) of the vehicle is made of FPCs representing an estimated total systems weight saving of 60 percent over traditional wire harness,” according to Trackwise. This savings will enable a variety of benefits, including better speed, range, as well as higher payload. Circuit consistency, improved reliability (fewer connection points), and reduced assembly time and cost (easier installation) are all thanks to using printed manufacturing. “There are many new applications emerging for long, lightweight FPCs but aerospace is a natural fit: weight savings, high reliability, and cost effectiveness are critical. We’re also seeing growing interest from a variety of sectors including medical and automotive. For the latter, manufacturers are challenged to reduce vehicle weight to improve fuel efficiency at a time when there’s an ever-growing array of electrical and electronic circuits in their vehicles. In particular, electric vehicles are accelerating this trend,” Trackwise CEO Philip Johnston says.